Welcome to another great week of comics. Hope everyone picked up some amazing comics over the weekend on Free Comic Book Day. Check out this week's recommendations and watch the slideshow featuring Paramore's "Hard Times." Whether you're ready or not, Marvel's 'Secret Empire' is in full swing and the tie-in 'Secret Warriors' #1 by Matthew Rosenberg and Javi Garron arrives this week. 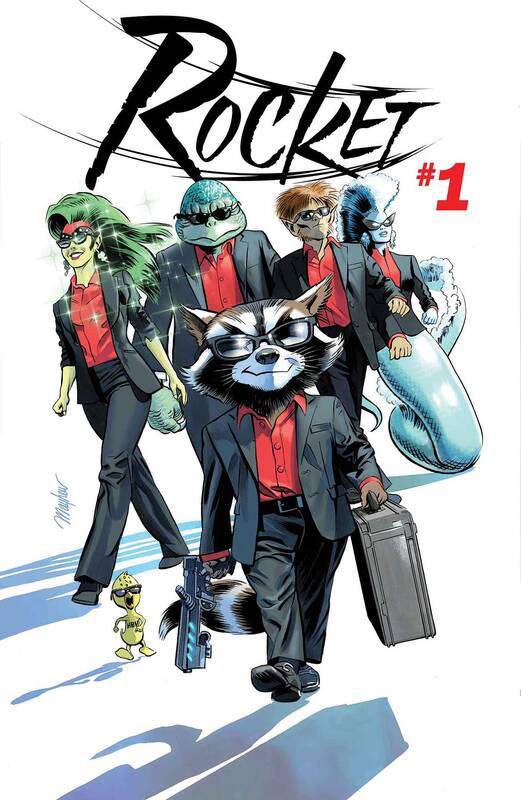 Marvel also debuts Rocket #1 by Al Ewing and Adam Gorham just as 'Guardians of the Galaxy Vol. 2' dominates the box office. Check out the newest Star Wars adventure with Star Wars The Screaming Citadel #1by Kieron Gillen and Marco Checchetto. Also pick up Misfit City #1, Titans #11, Bug! The Adventures of Forager #1, Jessica Jones TPB, Blue Beetle TPB, and the final issue of AD After Death Book by Scott Snyder and Jeff Lemire. Happy reading! S.H.I.E.L.D. Agent Daisy Johnson, a.k.a. QUAKE, wants no part of Hydra, so she goes underground, teaming up with MS. MARVEL, MOON GIRL & DEVIL DINOSAUR, KARNAK and INFERNO to set things right - for the Inhumans, but also for the entire country! Penned by rising star Matthew Rosenberg (Kingpin, Rocket Raccoon, 4 Kids Walk Into A Bank) and drawn by the immensely talented Javier Garrón (Death of X, Inhumans vs X-Men), SECRET WARRIORS is one part coming-of-age story, one part spy-thriller, all action and all heart. Don't miss the next (and final?) generation of Inhumans as they take the Marvel Universe by storm! "THE LAZARUS CONTRACT" part one! When Deathstroke discovers that Wally West's return holds the key to bringing his son back from the dead, he'll stop at nothing to do just that! Don't miss the debut chapter of the epic crossover event that you've been waiting for! An all-new Young Animal miniseries begins! Forager is just one of the Hive before he breaks out of his cocoon and finds himself in a mysterious house in an unknown realm. There he meets all kinds of strange creatures: a ghostly girl, a talking teddy bear and otherworldly weirdos that have literally jumped out of his worst nightmares. But these interdimensional oddballs are nothing compared to the evil General Electric, who is on the hunt for a reality-bending metal that could alter the fabric of life itself. To stay one step ahead of him and preserve the multiverse, Forager must travel through alternate dimensions to seek the metal and, hopefully, catch up with that cagey stuffed bear. If he does it, will he finally be able to distinguish himself as a New God? DC's Young Animal celebrates Jack Kirby's centenary with this new six-issue miniseries-and who better to tackle this task than the Eisner Award-winning Allred clan! Featuring scripts by Lee Allred (BATMAN '66), art by Michael Allred (Silver Surfer) and colors by Laura Allred (Lady Killer), BUG! is truly a family affair. 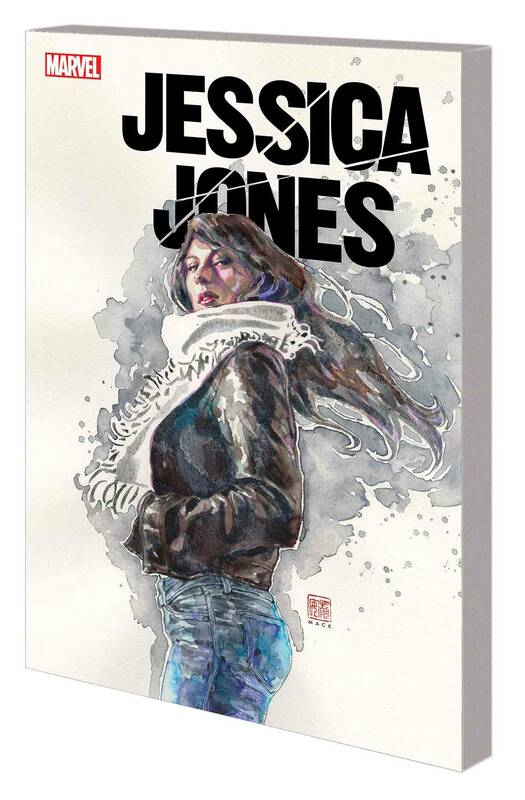 Jessica Jones is back in her own solo series! A lot has changed in the Marvel Universe since the last time she headlined her own book, and there are secrets hiding in the shadows - secrets only a special woman like Jessica Jones can hope to uncover. Alias Investigations is open for business, and of all the many mysteries to uncover, her new case may be the most dangerous one! Jessica has unearthed a new hidden evil - one so terrifying she was willing to rip her family apart to save them from it. But was her sacrifice enough? And is there any way to piece her life back together? From Jessica Jones' creators comes an all-new chapter in the world-famous private eye's ongoing adventures - one that answers some of the biggest questions about the new Marvel NOW! Universe! Collecting JESSICA JONES #1-6. Bonded to the Blue Beetle Scarab, teenager Jaime Reyes has no idea what he's doing with one of the most powerful weapons in the universe. But he's in luck, because his predecessor-Ted Kord-is back in the DC Universe, and he's going to serve as the young hero's mentor! Alongside fellow teen hero Doctor Fate, this duo will have to learn how to be heroes on the fly! Blue Beetle is back for a new generation as a part of DC Universe Rebirth! Collects BLUE BEETLE: REBIRTH #1, BLUE BEETLE #1-6.